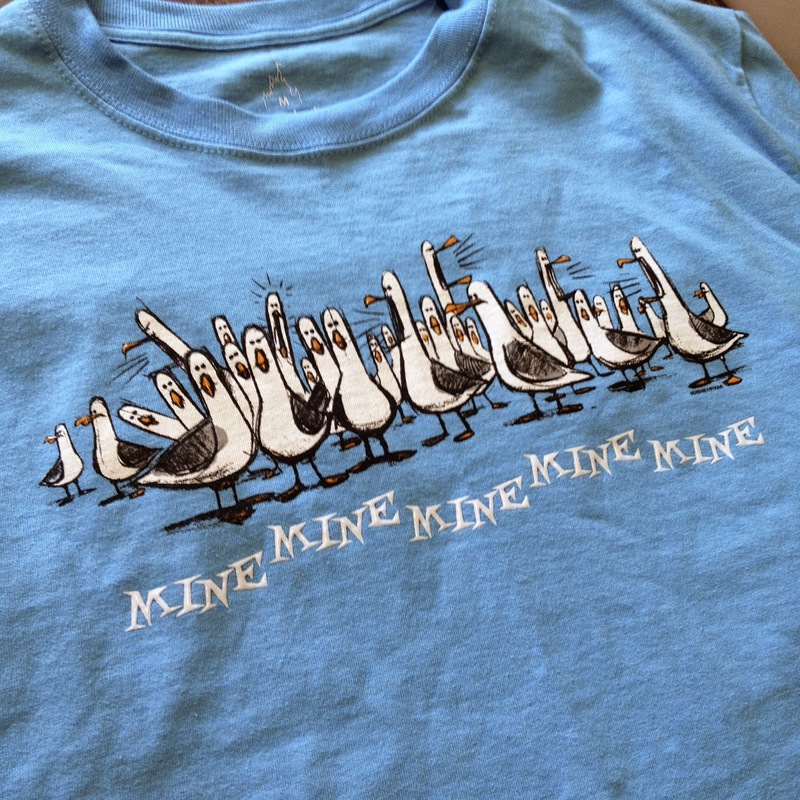 Disney Parks now currently has a collection of merchandise that features these seagulls with their quote of "Mine, Mine, Mine...", such as this awesome T-shirt (also available in tan), a mug (which I have, seen here), a snow globe, an iPhone case, a plush and many more. You can find this merch at gift shops throughout the Disney Parks and resorts, but the biggest selection can be found in "The Seas with Nemo and Friends" gift shop at Epcot. This is a great summer shirt that's simple, stylized and well made. It's really funny as well, people who recognize what this is referencing will for sure get a kick out of it. 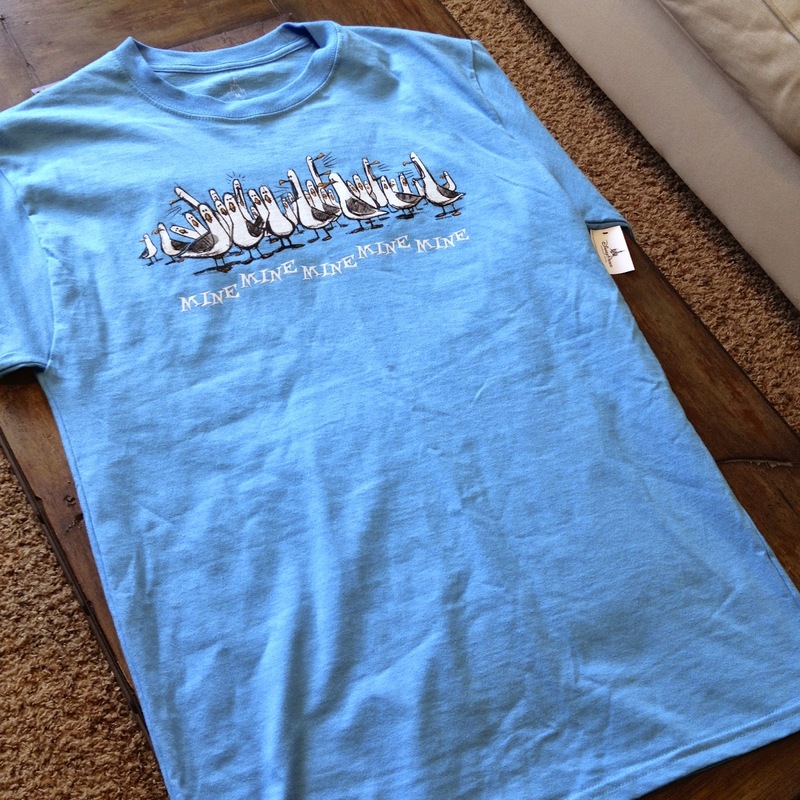 I'm especially excited to wear this on our Disney Cruise next year. A BIG thanks to my amazing wife who gave me this great surprise for my recent birthday!